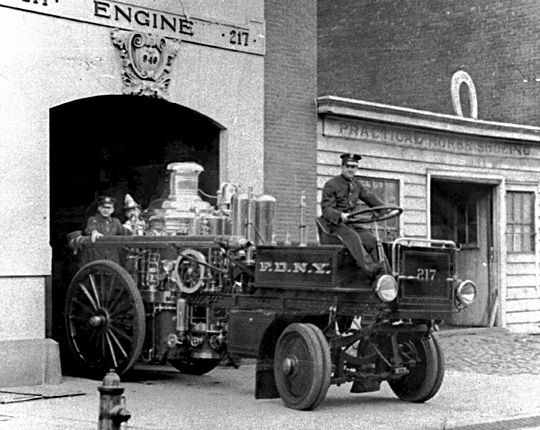 Engine Company 217 Brooklyn was orgainzed May 1,1909. Note "The Practical Horse Shoeing Company." next door! 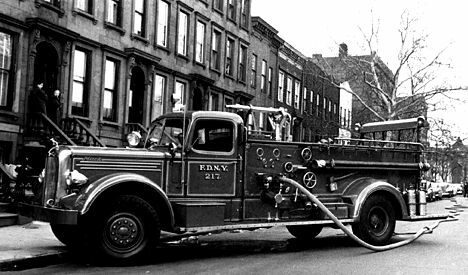 The firefighter on the back step is Charles Kamine, he retired in 1918.